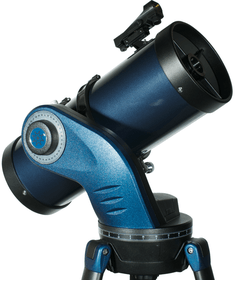 The StarNavigator 90 millimeter refractor telescope has a 90 millimetre lens diameter. 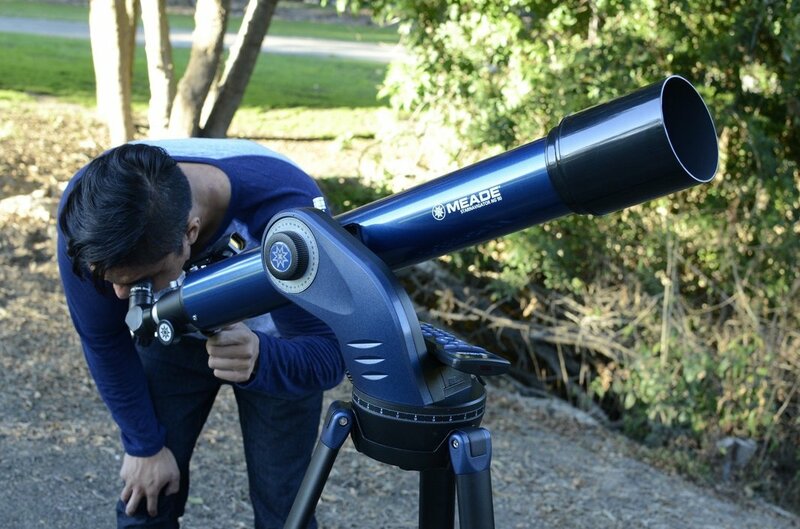 The lenses have a Fully Multi Coating for a clear view of the night sky. 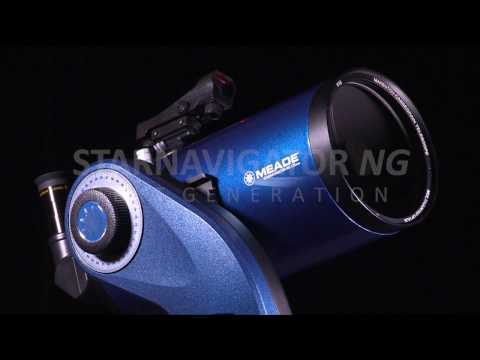 The telescope has a tracking motor to keep the object you observe in the centre of your lens. 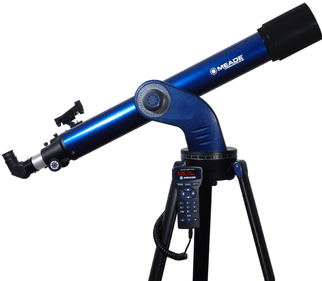 The Meade StarNavigator 90 millimetre refractor telescope is an ideal entry-level model for the novice astronomer. 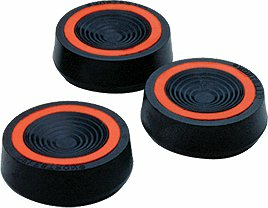 These telescope lenses have a Fully Multi coating that gives you a clear and sharp image. 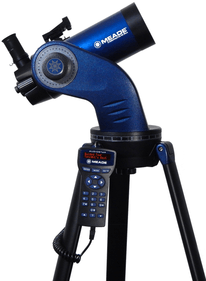 Two eyepieces measuring 9 and 26 millimetres are supplied with the telescope. This will influence the magnification of the observable celestial object. With a large magnification you can view objects in more detail and with a smaller magnification you have a better overview of the night sky. 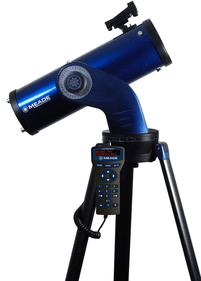 This Meade telescope has an azimuth mount. 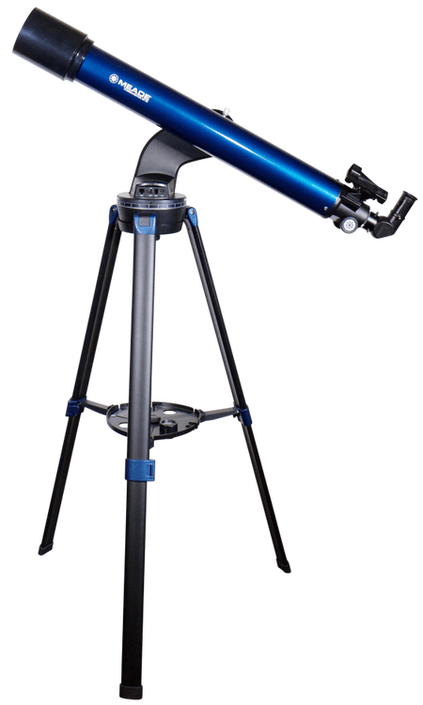 This allows you to move the telescope very easily to any desired position. To prevent the problem of the object moving away from the centre of the lens of your field of view, a tracking motor has been added to the telescope. This prevents you from having to continuously adjust the telescope to be able to observe an object. 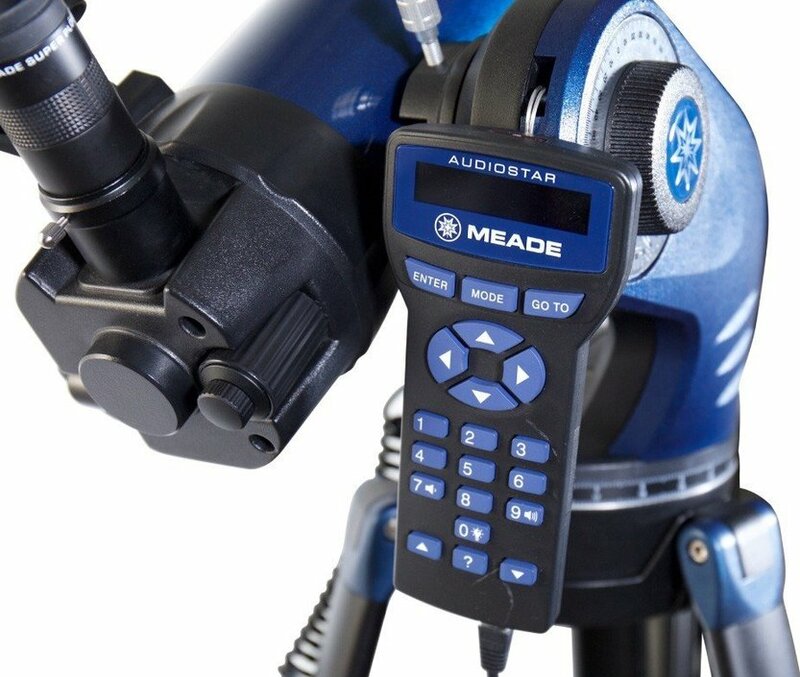 Write a review By sharing your experience with the Meade StarNavigator 90 mm Refractor telescope, you can help others (perhaps still doubting customers) with making a good choice.